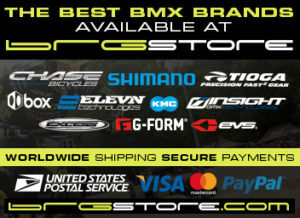 Chase BMX and Tioga BMX are proud to once again support the USA Cycling BMX Development Camp series for 2013. The USA Cycling BMX Development Series (Devo) is designed to take the next generation of young talented amateur BMX athletes to the highest level of BMX racing. The goal of this program is to prepare this group by allowing unprecedented access to the U.S. Olympic Training Center in Chula Vista, California. The program is targeting all 15 and 16-year-olds using the 2013 UCI BMX calendar season (Jan. 1 – Dec. 31) and the birth year of 1997-1998. Each of the 2013 USA BMX National events host a USA Cycling Development Series race, where the riders can qualify for a spot at one of the 4 camps per each season. The top 2 riders in each the Boys & Girls class from the USA BMX race series earn a free week long camp at the OTC! The first Camp of 2013 was held during April 21-28, 2013, just after the 1st round of the UCI BMX Supercross in Manchester, UK. Rider Coaches Ariel Martin and Nick Koehler, as well as Coach James Herrera made the flight directly back from the UK to the Camp. The Jr Devo Riders that attended the camp, met up with a few graduated riders from past Jr Devo camps, now in the U23 program, who also assisted with the camp. Riders attending: Kelsey Van Ogle, Lexa Jones, Destiny Ford, Veronica Laughton, Ben Bryson, Walker Finch, Gavin Nelson, Colin Hudson, Dougie Butcher, Makieva Hopson, Antonio Bonessi, Lee Gaskin, Matt Chism, Bryce Betts, Alden Volle.